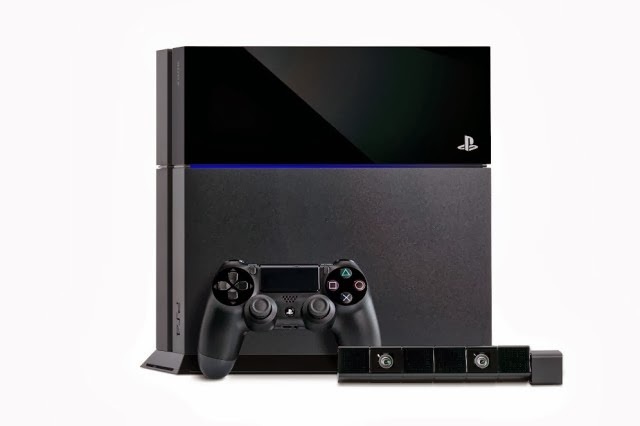 Sony launched its latest generation Sony PlayStation 4 in India today at Rs. 39,990. The device will be available in stores at January 6th 2014 and customers can preorder the device on all leading e-commerce stores. PlaytStation 4 comes with a powerful eight-core "Jaguar" CPU and a 1.84 terafloap AMD Radeon graphics engine. In PS4, some processing for a device that is expected to run games with graphics. The device has 8 GB memory storage. One controller will Come free with the PlayStation 4 and if you want to buy one more controller you can buy at Rs.4999. The PS4 will use Gaikai game technology which will allows the user to directly download the games. So user can play game online as it download. The device will also have the ability to download the games in the background, even while powered off. the user will also able to upload videos online while playing games and share their game play on social networks. DualShock for gaming controller has built in touchpad that placed in the very center of the controller. Playstation Network will also include Facebook and Ustream. A broadcast button on the controller will allow users to PSN friend. For more information about Sony PlayStation 4, ClickHere.